Ellenborough Park has won Silver at the prestigious VisitEngland Awards for Excellence 2015. Gloucestershire’s only five-star hotel and spa collected the award in the Large Hotel category beating off finalists including neighbours The Manor House in Moreton-in-Marsh, Hampshire’s Chewton Glen, and Peckforton Castle in Cheshire. The Gold went to Matfen Hall Hotel in Newcastle upon Tyne. The VisitEngland awards for Excellence showcase the best in England’s tourism industry and attracted 345 applications, from which 75 finalists were selected across all categories. 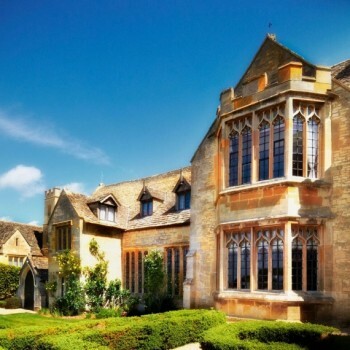 Ruth Owen-Overton, Sales and Marketing Director of the Ellenborough Park Hotel said: “It’s testimony to the hard work and dedication of all staff that we won Silver in these prestigious awards. “This is also a win for the Cotswolds because tourism is a vital industry worth £1billion to the local economy and accounts for 8% of employment. By raising standards and deliverying memorable guest experiences we encourage more people to visit our region. Hugh Taylor, Chief Executive of Michels & Taylor, said “M&T are delighted the team of Ellenborough Park have been rewarded with this prestigious award. The hotel offers a great product and great service and this award is well deserved”. More that 25 years old, the VisitEngland Awards for Excellence represent the highest accolade in English tourism. The Awards recognise businesses that incorporate best practice and demonstrate excellence in customer service throughout their operation and celebrate the very best in quality and innovation.